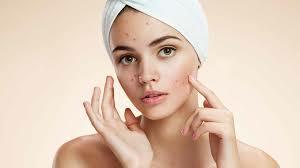 Most people will find themselves suffering from acne at some point in their lives, especially when they go through puberty. But aside from hormones, there are other factors that can cause acne, such as stress, and pimples don’t necessarily mean your facial skin is clean or dirty. 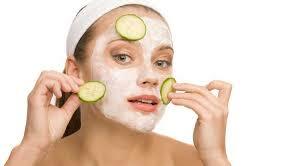 In fact, cleansing your facial skin too much can irritate it even more, which makes acne breakouts more likely. 1. Wash your face with soap and water. Instead of turning to expensive facial products, you can simply use a bar of mild soap and water to wash your face with twice a day. Mild soap and water can actually do a lot to reduce your acne breakouts if you wash your face and pat dry with a clean washcloth. 2. Avoid stress as much as possible. While you’re going to experience it at some point in time, there are other things that could easily cause unnecessary stress, such as staying up too late. This is because you also produce more facial oils along with cortisol when you’re stressed, and the longer you’re stressed, the more prone your sebum glands are to getting blocked and inflaming, causing pimples. Seven to eight hours of sleep can work wonders when it comes to keeping stress at bay. With the lack of stress hormones in your system, breakouts are less likely to occur. 3. Spot-treat with tea tree oil. Tea tree oil can be especially effective at reducing pimples when diluted in a five percent solution, and has fewer side effects than benzoyl peroxide. To make it safe, dilute one part of tea tree oil in nine parts of water, and apply it to your pimples via a cotton swab twice a day depending on how frequently you need it. You can even apply moisturizer to make sure your facial skin stays moist. In lieu of tea tree oil, you can also spot reduce using other types of essential oils, such as those of cinnamon, rose, and lavender can be quite effective in fighting acne-causing bacteria. 4. Try not to touch your face too often. This can be more difficult than you think, especially because people are more likely to touch their face on a regular basis. However, the more often you touch your face, the more you bring bacteria to it, which could cause your breakouts to get more intense. You could also try certain lifestyle changes, such as eating more fruits and vegetables in your diet, and exercising more regularly and getting seven to eight hours of sleep.